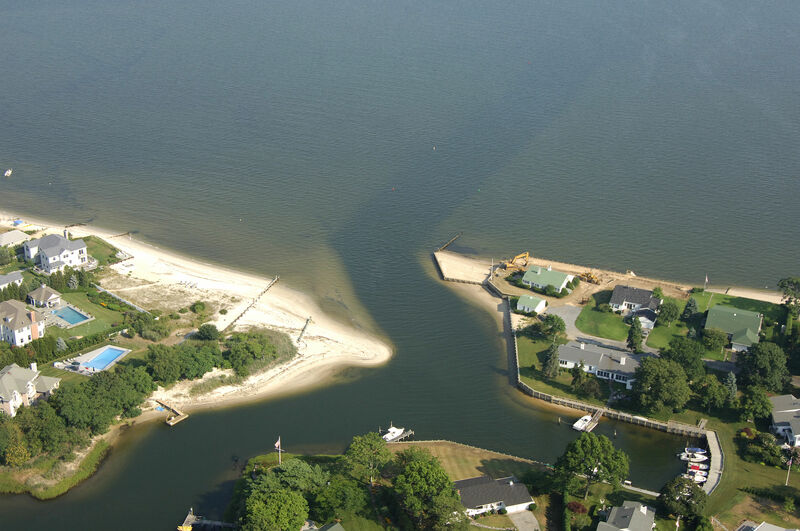 Jones Creek Inlet is located on the Fishtail of Long Island on its eastern end near Shelter Island and Point Montauk off Great Peconic Bay. 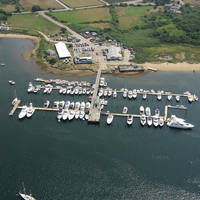 Jones Creek Inlet is 50 miles west of Block Island and 40 miles southwest of New London (as the bird flies). Inside Jones Creek there are two marine facilities, and both of them accept transient guests at their slips. 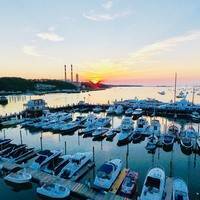 Separated by only a half mile of land, Jones Creek shares the town of Mattituck with Mattituck Creek, which is located off Long Island Sound. From Great Peconic Bay, Jones Creek is reached via an approach form the south. 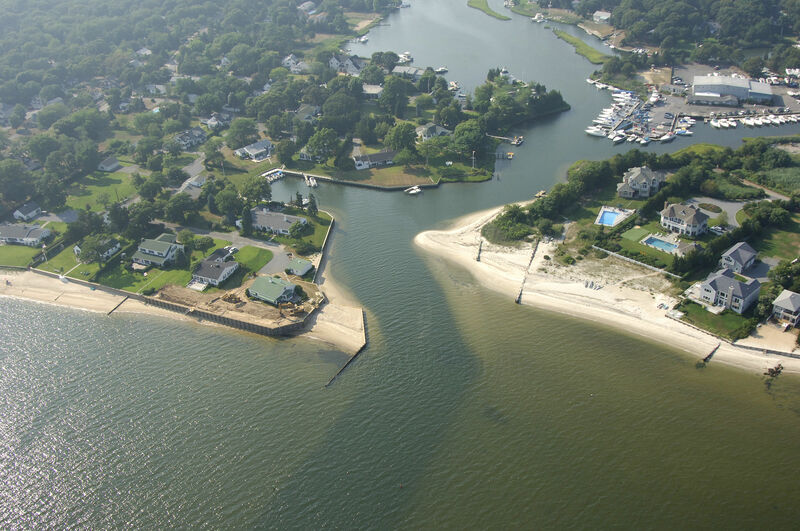 Once you have cleared either the Shinnecock Inlet to the south, or Robbins Island to teh east, chart a course for flashing red buoy 2 at the mouth of Jones Creek (green can 1 comes before, if navigating at night). Green can 3 and red nun 4 come next, and lead up the six-foot-deep channel into the creek. Depths indie the creek shallow to five feet, but remain consistent all the way to its head. 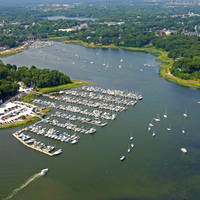 One marina is located all the way at the head of the creek, and although depths are charted at five feet, radio or phone ahead to check current conditions. Easier to reach is the first marina you see when you go into the creek. This yard also has repairs and haul-out.